of activities to assure you of a unique travel experience. shopping, tours and fun excursions. Meet new friends from around the world to create lifelong memories with. Below few comments from guests joined my cooking vacations last few months. There are many more but I send the most recent. Subject: Re: how to express the cave dinner? First of all thank you for the wonderful week with you in Crete and immersing me in the Cretan culture, food and beautiful scenery. Your vibrant personality made it so much more fun. Thank you also for sending me the recipes, I will put them to good use. You will see that I already posted an album with my photos of the Food and wine tour Crete 2013 and did already some advertising. Once I get some time here I will start working on a program that I will consult with you for my clients. Again thank you again for the wonderful time in Crete, and the cave dinner was truly a highlight during that week. We will email you when we return home but just wanted to thank you now for last week. It was a memorable tour and as Ian said a true 'slow food' experience! Thanks for your generosity and hospitality, for sharing your passion for Crete and showing us all the wonderful things it has to offer. 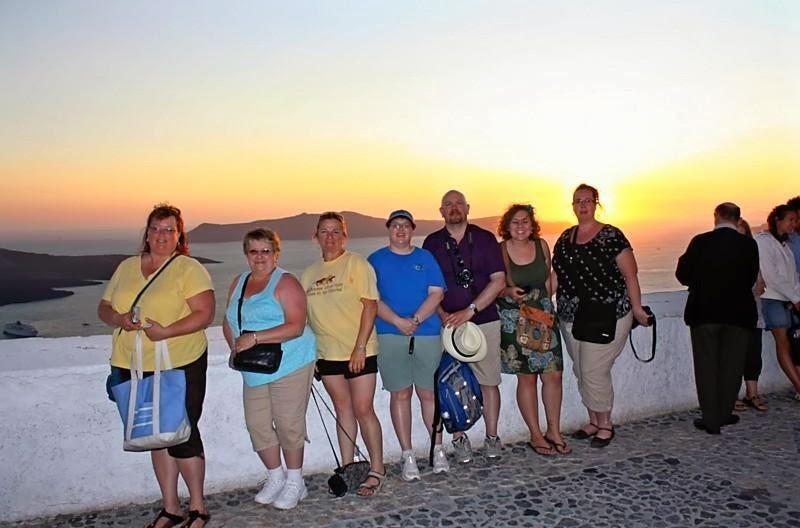 Our time in Crete was much enriched by joining your tour. I am away but wanted you to know that Sarah emailed me and said they had an "absolutely spectacular time" and couldn't express how wonderful and professional you are. Thank you and talk more when I get home. By now you have had your cave dinner, and I hope it was a huge success. I arrived in Colorado on a Sunday, and it started to rain, rain, and rain: the 100 year flood. I am fortunate, with just a little flooding. Many have lost their homes. Things are getting back to normal, and I wanted to take a moment to thank you again for such a special tour. I have been practicing some of the techniques in the kitchen with delicious results. I will send you some pictures soon. As promised, some photos are attached. I will send two separate emails with four photos each, so hopefully they will get through. I had such a wonderful time, and think about my vacation in Crete every day. I am ready to come back, and hope to talk some friends into coming with me. You were a fantastic guide and teacher, and a true ambassador for Crete. Sorry, it took so long to response. I just wanted to say, that your are a true professional and a very special person. You made the experience truly memorable. You treated all of us like family instead of just strangers. You took us to local eating establishments which really enriched the experience. The cooking classes were a lot of fun, they were very hands on, which I bloody loved. You went out of your way to make sure that we all had a fabulous time. George, if you could send me the recipe for the sardines, that would be great as I have forgotten it. I must tell you that I did make the pancakes for my family and they absolute loved them. I hope to be able to make more of the meals for them. I really wish I had written down some of the recipes down, and I know that you cook instinctively, so writing the recipes before the class would be difficult. There are just a few comments, and by no way are they a reflection on you: The lodgings were very nice and the location was really spectacular! George I will always remember my time there as very special, and wish you and your family the very best. I will always have a grand smile as I remember my time in Crete. Well, another very pleased customer!! We have been back a week now and still catching up but I am very happy to report that we had a fabulous time and George is a fantastic host! We would recommend the holiday to anyone. He was very attentive and made sure that everyone on the trip was catered for. The accommodation was gorgeous and the owners very friendly, making sure we had everything we needed. The only down thing....way too much food!!! We are now on a diet! Just kidding, the food and culinary experience was wonderful, George took us to all local places where we tried numerous local dishes and drinks and let us experience Cretan life to the full. He was also very informative on Cretan ways and customs etc. Everyday was on our time and we did not feel rushed at all, great experience. It would be great if you could go and visit him and see the extent to which he puts himself out everyday, to make sure the client has a first class experience. Ti kaneis? I hope all is poly kala! :-) I'm home from Greece and miss it...it was so beautiful and everyone was so friendly. I wanted to thank you for creating such a wonderful time and such a special birthday! Efcharisto! (Not "egg casserole!" hahahaha!). Please send me your mailing address -- I have some amazing pictures that I want to burn on a disc and send to you along with a little something from the United States. You might be able use some of these pictures in your marketing for this tour! Here is two of my favorites of you....one is picking unknown type of fruit off of the tree at the monastery and tasting them, and the other is you cooking at Thalori. I also attached a picture of the "raki girls" for you. I had an amazing vacation in Crete... Thank you so much for all you did for us. The trip was wonderful. I truly enjoyed myself; the tours you arranged, shopping at the markets, the cooking classes, Thalori and of course, all of my new friends... I could not have asked for a more incredible experience. I never dreamed of places so beautiful. You are the perfect host, guide, chef.. I did have a truly wonderful vacation. The friendships, the food, the accommodations, the sites we visited were incredible. Your love for Crete and for cooking such wonderful foods shown through with everything you did for us. I cannot thank you enough for your hospitality. I cannot thank you enough for the truly remarkable experience in Crete. Since I arrived back in the USA, I have cooked several meals using the principles you shared with us and enjoyed every one of them. Unfortunately we cannot get the freshest ingredients, but even the techniques you showed (simple combinations of ingredients that show up in most dishes, grating tomatoes, different ways of chopping onions, cooking with potatoes, and so on) have been very useful. I cannot wait to entertain others with the Cretan cuisine! I have tried to think of ways to improve future tours, but I have not come up with anything. Your experience in this industry truly shows. The best part of the trip was that you took us to places that tourists would probably never know about, where you knew the people and their families. That made the vacation especially authentic and memorable. Even the long drives were okay, because we got to experience the wonderful sights of the island. I am working on the photos and send them to you soon. · Thalori’s location in the mountains and it is integrated into the village provide a local Cretan experience. · George’s knowledge on Crete history and Thalori’s hospitality makes the visit enjoyable. 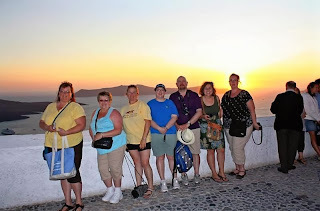 · The various local restaurants that we ate at enabled David and I taste local Crete food and cooking. The ingredients were very fresh – very delicious. · The cooking experience where we got hands-on experience in preparing and cooking Cretan food each night. · The small group setting allows the group members and George to interact and build close relationship during the week. This helps adjust the flexible itinerary if the group likes to explore/visit some different sites. · The bottom line – the food and alcoholic beverages were great. I've missed you! I'm so sorry I haven't written earlier. I've been jet lagged and playing catch up at work! How are you? How's your new class? I wish I was back in Greece right now! I want to come back next spring. I'll have to let you know so we can plan! I'm going to have a dinner party for all my friends. Having 20 people over. They are all expecting me to cook a Greek feast. What should I definitely include on the menu? Our trip was great, but of course, the highlight was our week on Crete. We have already made tsaziki, lots of boiled and sautéed greens, the cucumber appetizers, the eggplant dip, greek salad, and grilled lamb chops. We bought some grape leaves and phyllo dough so will try making some more dishes soon. As far as critical thoughts about our stay in Crete, we enjoyed the trip and learned so much about Cretan food, culture, and history. Also, starting to cook a little earlier in the evening and eating dinner earlier would have been nice, but honestly after those big lunches no one would be hungry for dinner earlier. We both gained 8 pounds on the trip! Hope you had fun with the other group you had after us and that the gluten free diet wasn't too much trouble. Thank you again for a fantastic week full of learning and good memories. We will get the photos to you soon. I am writing to you because I am still awestruck by the experience of a lifetime!! I could never have imagined how WONDERFUL, gracious, enjoyable and entertaining a vacation it was to be. I absolutely fell in love with Crete and George!!! I couldn't have planned a better trip and I can't wait to go back.